Emerging African graphite producer, Sovereign Metals (ASX:SVM) has negotiated an infrastructure term sheet agreement with Central East African Railways (CEAR), an infrastructure and logistics consortium in which Vale SA and Mitsui & Co. Ltd have significant ownership, with both parties also involved in the operational management of the transport facilities. The agreement covers the provision of rail freight, port access and port handling services by CEAR to SVM for graphite concentrates produced from the Malingunde Project, subject to a binding agreement expected to be formalised 30 June, 2018. Under the terms of the agreement, ore will be transported via the Nacala Corridor which spans a length of 988 kilometres from Kanengo to the deepwater port of Nacala as indicated below. The Nacala logistics corridor has an interesting history as it was essential for the expansion of Vale and Mitsui’s coal extraction activities in the Tete region of Mozambique. US$1.2 billion has been invested to date and a further US$460 million is expected to be invested in port and rail facilities to increase the general cargo throughput capacity. Importantly for SVM, the railway travels through Malawi and includes an operating rail line north to Lilongwe, passing within 25 kilometres of SVM’s Malingunde project. 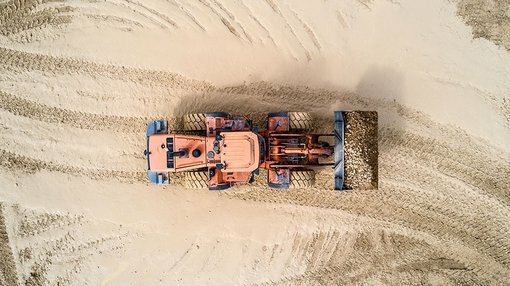 This is an important development as it provides SVM with a secure and efficient pathway for the transport of its graphite concentrates in partnership with two world class organisations. SVM highlighted that the signing of the agreement was a significant milestone in advancing the development of the exceptionally low-cost, high-quality natural flake graphite project at Malingunde. Commenting on the development, SVM Managing Director Dr Julian Stephens said, “The signing of the term sheet with such reputable multinational partners is a very important step for Sovereign, and we are delighted to have such experienced operators assisting us in advancing the Malingunde Project”. Under the agreement, services will be provided over a 20 year period for the movement of up to 100,000 tonnes per annum of concentrates, providing upside to SVM’s initial target of 44,000 tonnes per annum. This covers the initial 17 year mine life of the project. Given that a single train can transport up to 84 containers at one time, SVM will only require one train movement every two weeks. SVM’s scoping study considered production of approximately 44,000 tonnes per annum of graphite concentrates, equating to the movement of approximately 2000 twenty-foot shipping containers per year. CEAR will supply and maintain all infrastructure, equipment and personnel required to provide the services. As a means of comparison, the Malingunde scoping study logistics cost estimate was circa US$65 per tonne free on board (FOB), based on indicative pricing for the services. The graphite space has been in favour since August with shares in ASX 200 player Syrah Resources (ASX: SYR) surging approximately 40 per cent from circa $2.50 to $3.75. This appears to have rubbed off on some of the smaller players in the sector, with shares in SVM increasing 20 per cent in recent weeks.